I thought it was pretty god this year! It was my first year selling at this con, and I don't think it was too bad! Weather was nice and the staff in general was really helpful. Considering the price, would definitely consider coming again. I have to start this with the fact that it was my first time selling, ever. I paid 100$ for the table and it only included one badge, but it wasn't a problem considering that they have a discount for additional badges. Like the other review, I was floored by the huge tables. I almost didn't have enough decor/merch to set up! I'm not complaining, however. the extra elbow room was appreciated. There wasn't a ton of room behind tables but it was still fairly generous! The staff was very kind and helpful. They often came around to my table to ask how it was going and if I needed anything. They let me know where the trash bins, bathrooms, and concessions were. Plus, when I needed help with something, they were fast to assist me right away. Really great service from them !! Also to be noted that setup was made SO much easier by the loading zone since it was right next to the vendor hall. As for selling, I far exceeded breaking even. I don't know how well people typically do at this con so I won't say how much I made, but it was about four times what I invested in it, including the table. I didn't sell on Sunday. I had a few originals which didn't really sell well, but I sold out of quite a few fanart prints. This probably wouldn't be a great con for people who do mostly original stuff unless you have a stellar, original style. But many people walked through the first row of artists and all of them were very excited about looking for cool stuff. I would say most people are between the ages of 11 and 26, and there were tons of preteens with their parents. Overall, this is a really fantastic con to sell at I can't wait to come here again!! 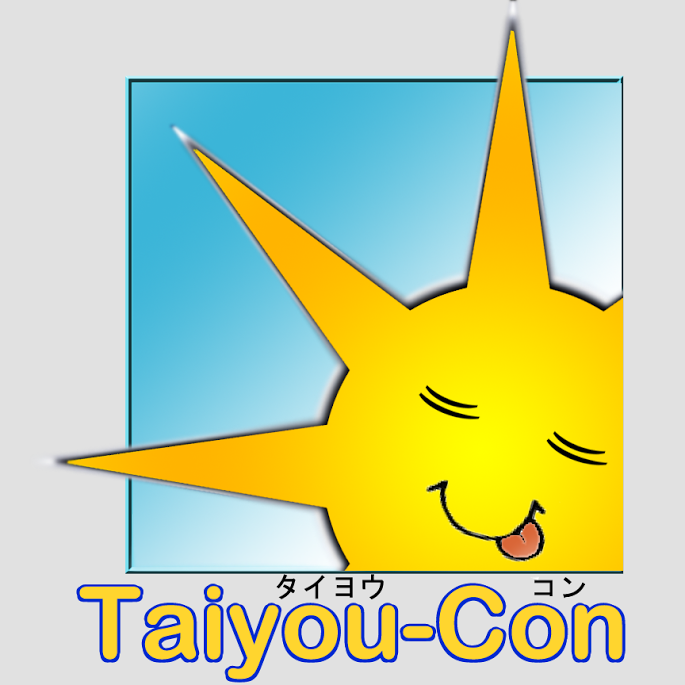 This is my 4th year doing Taiyou Con and this particular year was a tad slower than previous, though I still managed to turn in some profit. With how cheap the tables are - and you get an 8 FOOT TABLE! - it's hard to turn this con down, in my opinion. Generally this con is more anime focused than pop-culture focused, so if your style tends more towards the realistic, or if you don't have a whole lot of fanart (especially for whatever's currently popular) you probably won't get a lot of business, from what I could tell. My own style is a blend and I try to have a variety of prints/merch, so I usually do okay. The venue now discourages bringing in your own food, which is um, kind of a bummer, since I have ALWAYS brought in my own meals/snacks/drinks. Although it didn't seem like they enforced this rule too much. There is some okay food at their concessions, and it's not TOO horribly expensive, but there's not a whole lot of variety. There doesn't seem to be any sort of speaker system so for making announcements about where certain guests were going to be...or when the hall would be closing...one of the staff would essentially become a Town Crier and shout the news at different corners in the room. It's definitely amusing but if you're in a dead zone, I'm not sure how effective this method was. Overall the staff was very attentive, walking around at various points to check on us if we needed anything. The hours are very decent for this con, not too short. The longest day is Saturday, on which the aa is open from 10am to 7pm (which can seem like a long time but it went by rather fast) I also appreciate that they open the hall in the afternoon on Fridays now instead of midmorning - less time that we're sitting around staring at each other. All in all, no major issues with this con that would keep me from continuing to table there!